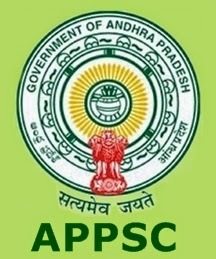 APPSC Group 1 Syllabus PDF 2019: Andhra Pradesh Public Service Commission (APPSC) has released the Group I Services Recruitment Notification soon. The organization has received a huge number of applications from the aspirants. Hence candidates who are going to face the APPSC Group I prelims & mains examinations must have the clear knowledge about the syllabus of examination. To overcome the competition and to get good rank in the test. The competitors can check the APPSC Group 1 Syllabus for telugu and english medium and exam pattern details from the following article. The APPSC has recently passed the Government Order for syllabus of Gazetted and Non-Gazetted posts of Group 1. Candidates applying for APPSC Group I services Posts can go through the article to check New APPSC syllabus and marking scheme. At the end of the article APPSC New Syllabus PDF for Group I has been enclosed. Aspirants can go through the PDF file to get clear understanding. Name of the Organization Andhra Pradesh Public Service Commission. N.B: NEGATIVE MARKS: As per G.O. Ms. No.235 Finance (HR-I, PIg & Policy) Dept., Dt.06/12/2016, for each wrong answer will be penalized with 1/3rd of the marks prescribed for the question. The Maghadas, the Mauryan , Foreign invasions on India and their impact, the Kushans. The Sathavahanas the Sangam Age, the Sungas, the Gupta Empire -their Administration- Social, Religious and Economic conditions-Art, Architecture, Literature, Science and Technology. 2. The kanauj and their contributions, South Indian Dynasties – The Badami Chalukayas, the Rastrakutas, the Kalyani Chalukayas, the Cholas, the Hoyasalas, the Kakatiyas and Reddis. 3. The Delhi Sultanate, Vijaynagar Empire and the Mughal Empire, the Bhakti Movement and Sufism. – Administration, Economy, Society, Religion, Literature, Arts and Architecture. 4. The European Trading companies in India- their struggle for supremacywith special reference to Bengal, Madras, Mysore, Andhra and Telangana, Governor-Generals and Viceroys. 5. Indian War of Independence of 1857 – Origin, Nature, causes, consequences and significance with special reference to Concerned State, Religious and Social Reform Movements in 19th century in India and Concerned State, India’s Freedom Movement, Revolutionaries in India and Abroad. 6. Mahatma Gandhi, his thoughts, Principles and Philosophy. Important Satyagrahas, the Role of Sardar Patel in Freedom Movement and Post – independence consolidation. Dr. B.R. Ambedkar, his life and contribution to making of Indian Constitution, India after Independence – Reorganization of the States in India. 2. Functions and Responsibilities of the Union and the States, Parliament and State Legislatures: Structure, Function, Power and Privileges. Issues and challenges pertaining to Federal Structure: Devolution of Power and Finances up to local levels and Challenges therein. 3. Constitutional Authorities: Powers, Functions and Responsibilities – Panchayati Raj – Public Policy and Governance. 6. India’s Foreign Policy — International Relations — Important Institutions, Agencies and Fora, their structure and mandate. Important Policies and Programmes of Central and State Governments. 1. General Geography: Earth in Solar system, Motion of the Earth, Concept of time, Season, Internal Structure of the Earth, Major landforms and their features. Atmosphere-structure and composition, elements and factors of Climate, Airmasses and Fronts, atmospheric disturbances, climate change. Oceans: Physical, chemical and biological characteristics, Hydrological Distasters, Marine and Continental resources. 8. Central Tendencies – mean, median, mode — including weighted mean. 12. .Area and Perimeter of Simple Geometrical Shapes, Volume and Surface Area of Sphere, Cone, Cylinder, cubes and Cuboids..
13. Lines, angels and common geometrical figures — properties of transverse of parallel lines, properties of related to measure of sides of a triangles, Pythagoras theoreth, quadrilateral, rectangle, parallelogram, and rhombus. 14. Introduction to algebra — BODMAS, simplification of weird symbols. 15. Data interpretation, Data Analysis, Data sufficiency, and concepts of Probability. 19. Information and Communication Technology (ICT): Nature and Scope of ICT; ICT in day to day life; ICT and Industry; ICT and Governance – Various government schemes promoting use of ICT, E-Governance programmes and services; Netiquettes; Cyber Security Concerns – National Cyber Crime Policy. Indian Remote Sensing (IRS) Satellites; Satellites for defence, Eduset or Satellites for academic purposes; Defence Research and Development Organization (DRDO)- vision, mission and activities. 21. Energy Requirement and Efficiency: India’s existing energy needs and deficit; India’s Energy Resources and Dependence, Energy policy of India Government Policies and Programmes. Solar, Wind and Nuclear energy. 22. Environmental Science: Issues and concerns related to environment; Its legal aspects, policies and treaties for the protection of environment at the national and the international level; Biodiversity- its importance and concerns; Climate Change, International Initiatives (Policies, Protocols) and India’s commitment; Forest and Wildlife – Legal framework for Forest and Wildlife Conservation in India; Environmental Hazards, pollution, carbon emission, Global warming. National Action plans on Climate Change and Disaster management. Biotechnology and Nanotechnology; Nature, Scope and application, Ethical, Social, and Legal issues, Government Policies. Genetic Engineering; Issues related to it and its impact on human life. Health & Environment. C – CURRENT EVENTS OF REGIONAL, NATIONAL AND INTERNATIONAL IMPORTANCE.